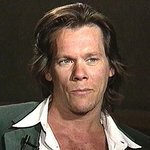 Kevin Bacon has launched SixDegrees.org, a new web site that builds on the popularity of the “small world phenomenon” to create a charitable social network and inspire giving to charities online. Bacon started the network with celebrities who are highlighting their favorite charities – including Kyra Sedgwick (Natural Resources Defense Council), Nicole Kidman (UNIFEM), Ashley Judd (YouthAIDS), Bradley Whitford and Jane Kaczmarek (Clothes Off Our Back), Dana Delany (Scleroderma Research Foundation), Robert Duvall (Pro Mujer), Rosie O'Donnell (Rosie's For All Kids Foundation), and Jessica Simpson (Operation Smile) – and he encouraged everyone to be celebrities for their own causes by joining the Six Degrees movement. The game, ‘Six Degrees of Kevin Bacon,’ made the rounds of college campuses over the past decade and lived on to be a shorthand term for the small world phenomenon. Bacon created SixDegrees.org in partnership with the nonprofit, Network for Good, AOL, and Entertainment Weekly. Through SixDegrees.org, which builds on Network for Good’s giving system for donating to more than one million charities online and AOL’s AIM Pages social networking service, people can learn about and support the charities of celebrities or fundraise for their own favorite causes with their own friends and families. Bacon will match the charitable dollars raised by the top six non-celebrity fundraisers with grants of up to $10,000 each. “People give to charity because someone they know or respect asks them. So charities are increasingly looking to their supporters – not just themselves – to raise awareness and money online. That means both celebrities and everyday people can make an enormous difference for people in need,” said Bill Strathmann, CEO of Network for Good. SixDegrees.org harnesses two important online trends: the exponential growth of social networks and the increasing interest in using the web for raising money for charity among family and friends. Through SixDegrees.org, people can upload their own photos and stories and fundraise for the charity of their choice with their own charity badges and AIM Pages. To kick off the launch of SixDegrees.org, Bacon will attend opening weekend of the Sundance Film Festival in Park City, UT, where he and other celebrities will be encouraging charitable giving. Entertainment Weekly is celebrating SixDegrees.org and Kevin Bacon at its third annual Sundance Festival Opening Weekend Party on January 20 at Jean Louis in Park City. At the party, guests will be able to learn more about SixDegrees.org and celebrities will be encouraged to donate their “swag” to benefit charity. Items will later be listed on eBay using eBay Giving Works. There will also be a representative from SixDegrees.org in Entertainment Weekly’s Main Street photo studio throughout the week so that when celebrities come to be photographed for the magazine, they can learn more about the organization and find out how they can get involved. Bacon will also be feted at an AOL reception where he will tape an episode of Moviefone.com’s Unscripted with Bradley Whitford, a SixDegrees.org participant and star of “An American Crime” premiering at Sundance. “AIM Pages and Six Degrees are the perfect pairing as the immense popularity of social networking and the importance of individual giving converge. We look forward to building an important network of good-deed-doers via AIM Pages to benefit the scores of charities associated with Six Degrees,” according to Marcien Jenckes, VP/GM, Instant Messaging & Social Media, AOL.